One of the great things about having kids is that I may never have to buy another store bought card again! 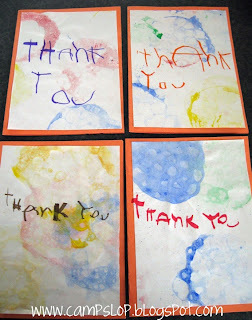 I love having the kids make cards for their cousins, grandparents, friends, etc. And the kids really love it too. I think there is really something special about receiving a handmade card. I thought I'd share a few more ideas. Pinky got a spin art machine for her birthday and the kids have had so much fun making pictures with it. The problem is we now have about a million of these little pictures lying around the house. 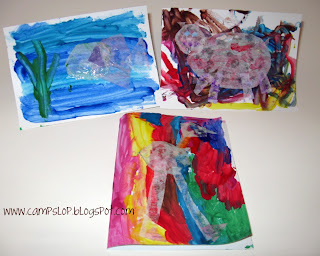 I thought it would be fun to use my scrapbook punches to cut out some shapes from the paintings and make cool pictures. You can see the spin art shapes in the back on the left. Chaos and I made a rocketship birthday card for his friend. The front card is a simple crayon drawing that Pinky made of her and her friend playing in the mud. 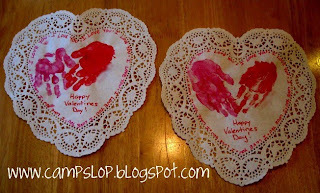 On the right is one of our painted tissue paper cards. 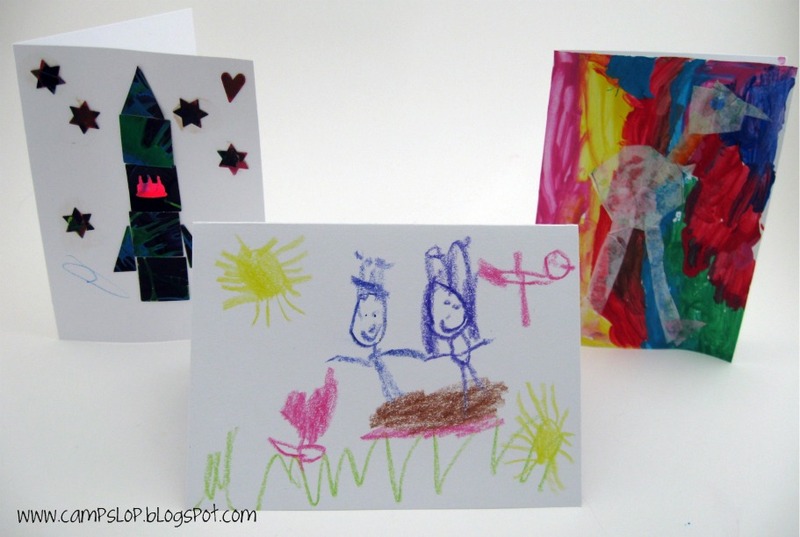 I'd like the kids to mail a card to one of their great grandmas every week so you will probably see more posts about handmade cards. 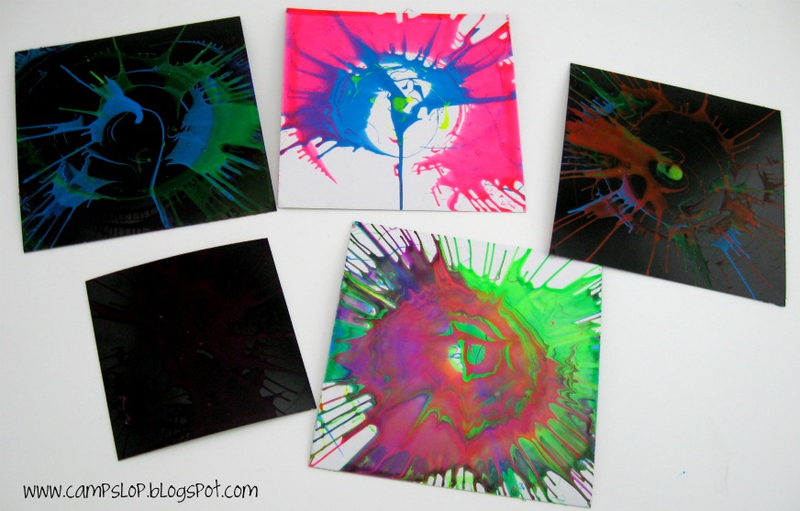 We may try some fingerprint painting for our next batch of cards. 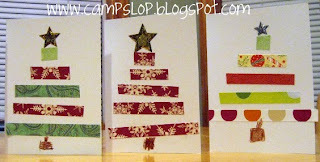 Do you have any cute handmade cards to share? I'd love to see them! I love to have our kids make cards. Thanks for all the great ideas.